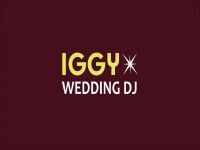 Required by many venues, Iggy :: Wedding & Events DJ has a current PLI policy with National Association of Disc Jockeys in the amount of £10 million. 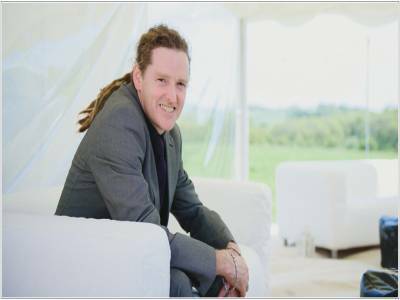 Also required by many venues, Iggy :: Wedding & Events DJ has supplied satisfactory evidence of holding current PAT inspections of their equipment dated within the last 12 months. A Method Statement outlining Iggy :: Wedding & Events DJ&apos;s Health & Safety procedure for setting up disco equipment has been provided. Iggy :: Wedding & Events DJ has provided Risk Assessments undertaken at events sourced via needadisco.com, indicating that they can undertake these competently. Why do people choose to book Iggy :: Wedding & Events DJ? reputation, reviews, make your own playlist link. We liked that he seems open to us to suggest music we like, and seems to really care and put a lot of effort into the event by adding lots of extra touches. Good response, meets our needs. "Iggy was just amazing. The wedding disco was the best I have seen, everyone loved it. Even Uncle Anthony (who never dances) was up and moving. Iggy catered for every single age range and put in so much prep and effort. I cannot sing his praises enough and will be recommending to all my friends! 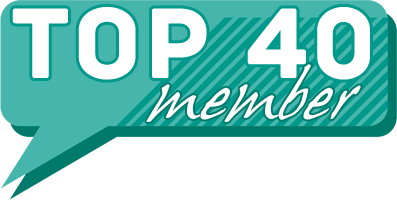 Thank you Iggy :)"
" [ADMIN: Feedback earned under a different company identity Iggy Events DJ & Mobile Disco (updated 17-01-2017)]"
"Iggy was fantastic, the music was just right and it was great being able to register requests before the event. We loved the uplighters, they transformed the room! Thank you Iggy, would definitely recommend you! [ADMIN: Feedback earned under a different company identity Iggy Events DJ & Mobile Disco (updated 17-01-2017)]"
"IGGY was fantastic and kept the children entertained. The variety of music was good and the feedback from families was excellent. We would have no hesitation in booking IGGY again he did a fab job :) [ADMIN: Feedback earned under a different company identity Iggy Events DJ & Mobile Disco (updated 17-01-2017)]"
"Iggy was professional from start to finish, nothing was too much trouble. My son, along with his friends, compiled a playlist which he incorporated into his set Given there was a hall with 40 teenagers (my son's 16th) he read them incredibly well and the dance floor was full at all times - no mean feat with teenagers. I really cannot recommend Iggy enough, he's brilliant. I will definately be using him again for our next event. [ADMIN: Feedback earned under a different company identity Iggy Events DJ & Mobile Disco (updated 17-01-2017)]"
"Iggy was very professional and friendly throughout the whole process. He met up with us before we decided to go ahead with him as our event DJ, which was a really nice touch. His communication was excellent and he answered all our queries in a timely manner. We sent him a long list of song suggestions to give him a flavour of our tastes, and he did an amazing job of putting together a set which complemented our preferences, whilst still being flexible enough to go with the mood of the party and get everyone dancing. Whenever we asked Iggy to announce something he chose the perfect words, and the rest of the time he blended smoothly into the background of the party, mixing the music seamlessly with no cheesy DJ patter! We had many comments from our guests that it was the best party they had been to in years, and I am sure that the music was a massive factor. Thank you so much Iggy for making Darryl's 40th Birthday a night to remember! [ADMIN: Feedback earned under a different company identity Iggy Events DJ & Mobile Disco (updated 17-01-2017)]"
"Everyone enjoyed the music and the children loved the current music choices. Exactly what I asked for. Thanks [ADMIN: Feedback earned under a different company identity Iggy Events DJ & Mobile Disco (updated 17-01-2017)]"
Get FREE no-obligation disco quotes from Iggy :: Wedding & Events DJ and other DJs covering your venue. Take 2 minutes to fill in some basic details and we'll do the rest! If you are contacting Iggy :: Wedding & Events DJ about an event, it's always a good idea to include the DATE, LOCATION, EVENT TYPE, AGE GROUP and TIMINGS to speed things up!